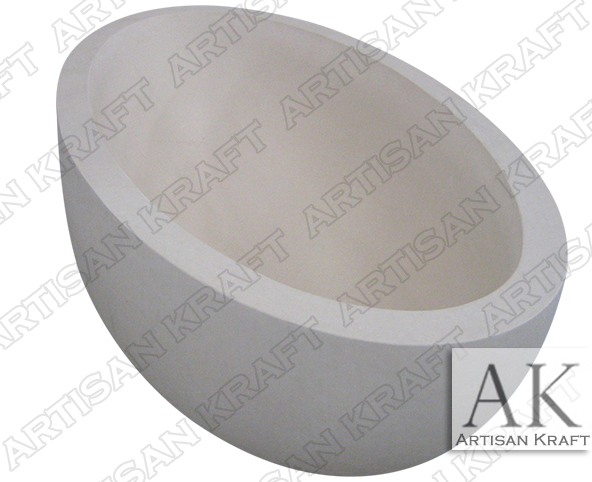 A stunning matte finished smooth limestone oval tub. Limestone is not a common choice for a freestanding bathtub but it is a great choice. You can see here the fine smooth yet flat finish that is achieved. It’s a great neutral beige color. The shape is oval. Limestone can be carved into any tub shape. Click on this link to view more natural stone tubs.